If you are moving, replacing furniture, or have broken and worn out furniture that needs disposal and removal, we haul it anything and everything away and free up your space. Whether you have a couch, a mattress, a dining room set, or even outdoor patio furniture, we take it all. You no longer have to worry about how to throw away and dispose of large furniture items, and if you like, can also donate it to charity for you. Our dependable staff carry, remove, and haul away all types of old and broken household furniture, no matter whether it is old and broken and ready for the junk pile, or if your furniture is in good condition and ready to donate. We remove dressers, cabinets, chairs, tables, sofas, beds, and more. We make the whole process easy and stress free and remove the junk furniture wherever it is in your home. If someone has a hard time throwing things away, sometimes things pile up over the years, to the point where it becomes daunting to clean up and reduces a person’s quality of life. Hoarding is very common and complex especially when it comes time to finally get rid of the junk and clutter. We have served many people in hoarding situations over the years. We help you free up space by removing and hauling away years of hoarding junk and clutter. Oftentimes we are called upon for move-in or move-out cleaning, whether you have old unwanted furniture, boxes of old dishes and glasses, clothing, carpets, lamps, or just general clutter and debris. Sometimes items are too bulky or heavy to go out in the regular trash or need to be taken down many flights of stairs. We handle it all, from spring cleaning clutter removal to hoarding cleanouts, or sometimes removal of abandoned belongings that a tenant might have left behind when they moved out. 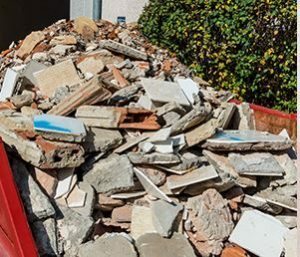 We have many years of experience hauling construction debris and renovation debris from work sites for business owners, home owners, contractors, and local organizations. If you provide construction, remodeling, roofing, or general contracting services, we help you save you time and labor by taking away all of your construction debris, any day, any time. Compared to dumpster rentals or carting services, our junk and rubbish removal service is second to none for construction debris. 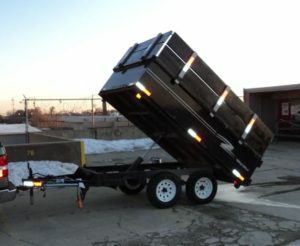 We have the largest trucks in the business and offer pricing by the load, by the cubic yard, or by the bag, and even work with dense loads or whichever types of construction materials you need removed.